There is an excitement that comes with the change of season from summer to autumn. It means that Halloween is just around the corner! There’s a crisp coolness in the air, the harvest is in full swing, and leaves are changing color. It’s time to put ideas into action. How are you celebrating Halloween in 2016? We used to think that Halloween was a child’s holiday, but it didn’t start out that way. The latest trend for Halloween is that it isn’t just for kids. There are a lot of ways for adults to have some scary good fun on October 31. Here are a few of the ways Halloween is being celebrated in the United States in 2016. In part one, we’re highlighting three ways you might not think of when pondering ways to celebrate the holiday . Part two takes a look at six other events that are more traditional for 2016 – the Halloween Party and Costume Contest. You don’t always think of ballet as a way to celebrate Halloween, but Company C Contemporary Ballet Company presents its 4th annual Halloween celebration this October 21 – 30 at Cowell Theater at the Fort Mason Center in San Francisco, California. The Tea Ladies, Inc. are getting into the spirit of the holiday with a festive afternoon at the Vrooman Mansion in Bloomington, Illinois. The tea includes a buffet with autumn sweets and savories as well as hot tea and refreshing punch. The Tea Ladies will present “A Walk in the Past,” a Halloween-themed program that is “fun and nothing too scary.” Wear a tasteful Victorian Halloween costume (not required). Only 48 spaces are available. 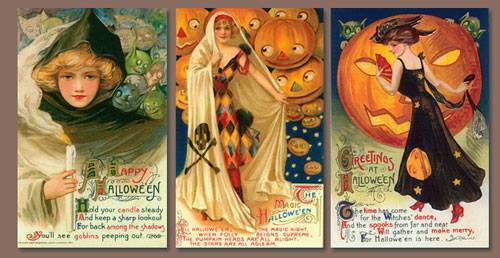 This is not technically a Halloween event, but it is a great opportunity to dress up and enjoy the spirit of the era. A former bank vault from 1924 has been transformed into The Reserve Cocktail Club in downtown Los Angeles, California. The interior looks just like a classic speakeasy complete with vintage décor. The party starts at 7 p.m. on October 16. Looking for ideas for your Halloween? Watch for part 2 for Halloween costume contest events for 2016!